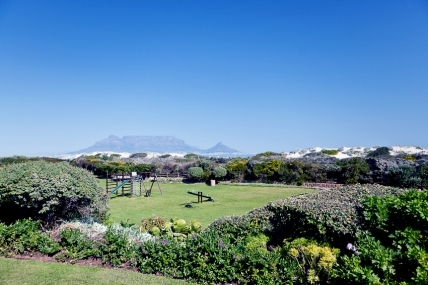 Along the southern West Coast in Blouberg, in a neighbourhood by the sea, is the Dolphin Beach Hotel, which offers 40 self catering apartments balanced with a superb combination of cosy accommodation, magnificent surroundings and service, all on the beachfront. Every apartment contains everything you need for a pleasurable vacation stay, from a fully equipped kitchen to dining and lounge areas as well as extensive patios. Adding to all this is the onsite seafood restaurant of Blowfish and the view of Table Mountain on the other side of the bay. The hotel additionally features conference facilities and meeting rooms providing a suitable environment for all kinds of affairs. 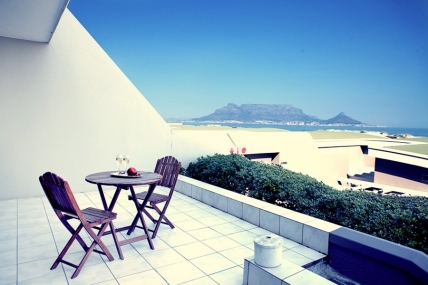 While the Dolphin Beach Hotel has everything you could need for an enjoyable holiday stay, there's also the beach of Blouberg to enjoy some time out in the sun and the hotel is not far from the MyCiTi bus route, which allows you to reach other areas such as Century City's Canal Walk and the V&A Waterfront, easing your mind when it comes to transport costs.